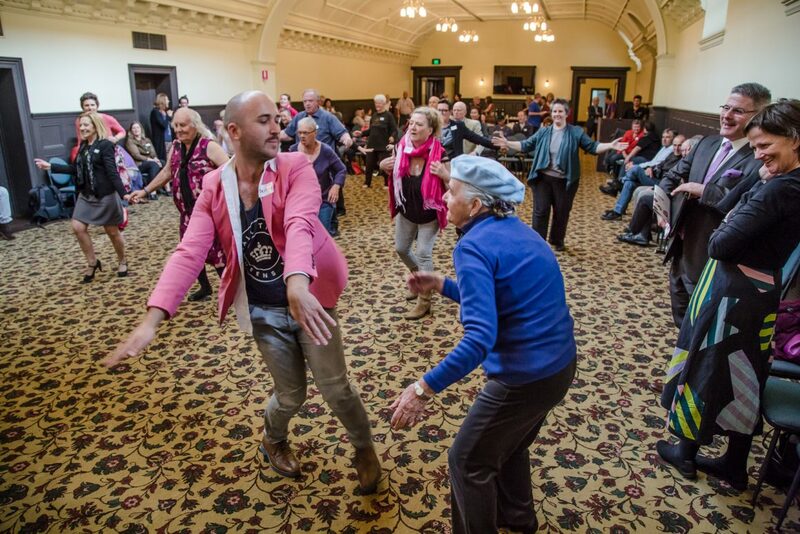 The New Moves High Tea was afternoon gathering for Victorian Lesbian, Gay, Bisexual, Trans and Gender Diverse and Intersex elders supported by the State Government. 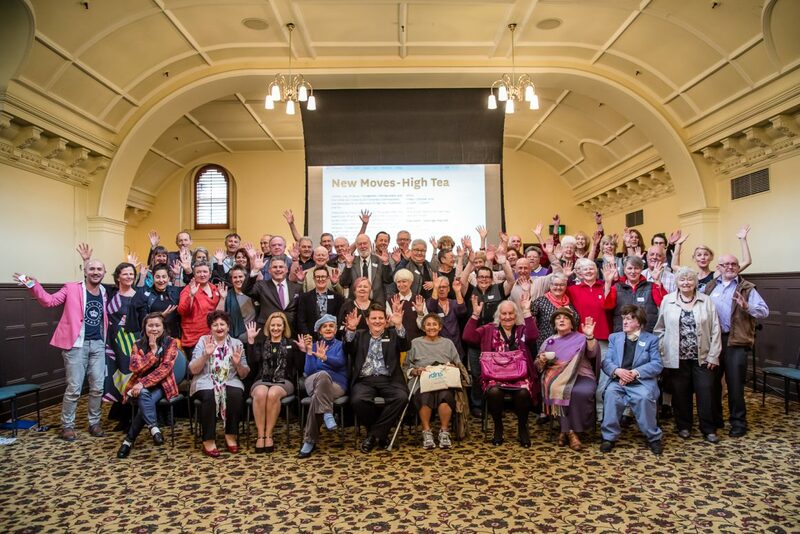 Every year the Victorian Senior’s Festival recognises the contributions that seniors make to our community. 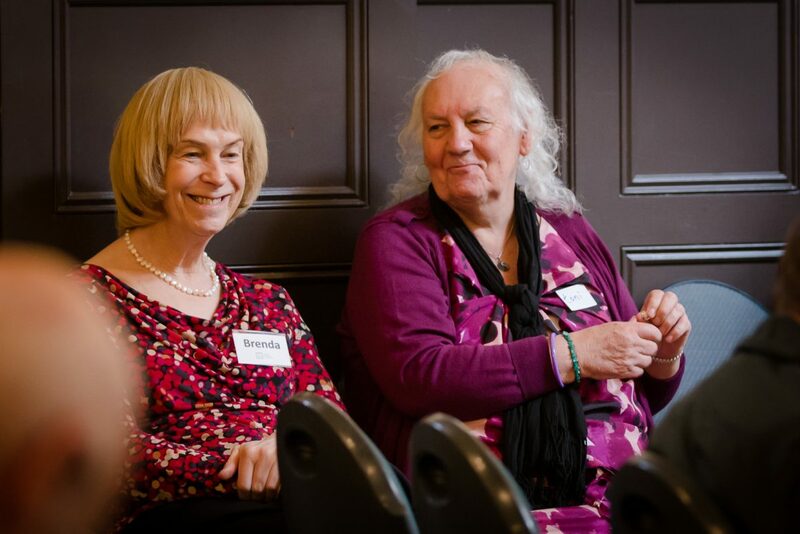 In partnership with Alice’s Garage, this event celebrated the contributions of Lesbian, Gay, Bisexual, Transgender and Intersex elders. All The Queens Men and Alice’s Garage invited LGBTI+ elders, Commissioners and advocacy organisations together to build new connections. 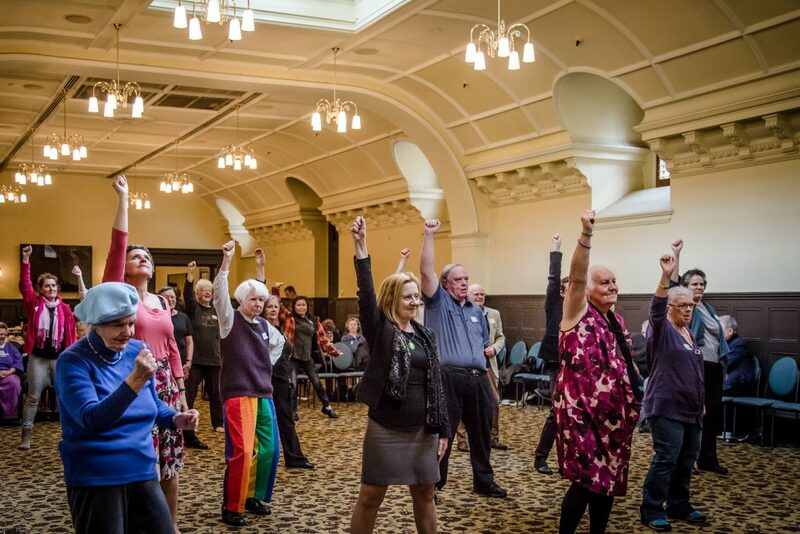 “We hope these connections will help to make sure LGBTI+ elders feel supported and are aware of the support services available to them. We know that some LGBTI+ elders continue to fear discrimination and we want you to know that in Victoria Equality is not negotiable”. Created by All The Queens Men and Alice’s Garage. Book design by Forde and Nicol. This event was supported by the Victorian Seniors Festival. 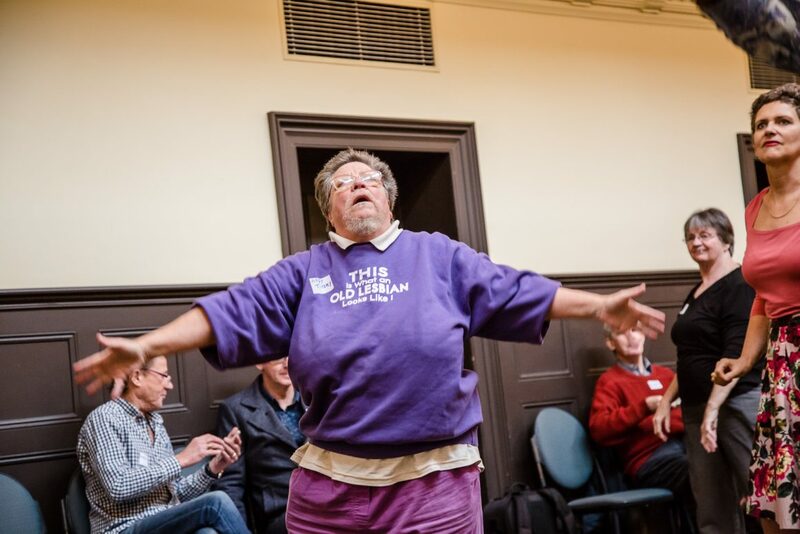 Alice’s Garage is a project for LGBTI+ Elders in Australia to connect, share information, build a sense of empowerment and celebrate LGBTI identities. Alice’s Garage is lead by Dr Catherine Barrett.